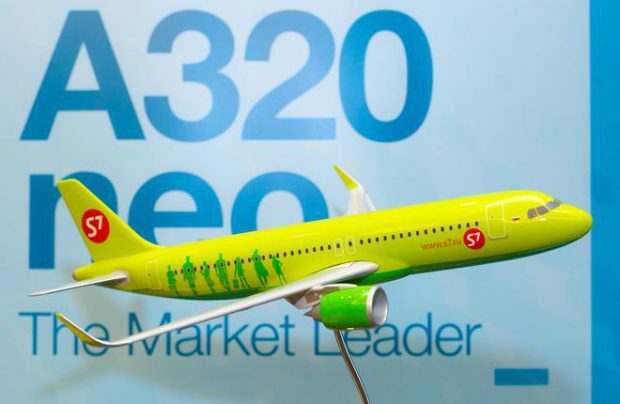 S7 Airlines Group is considering purchasing up to 20 Embraer regional jets, Gazeta.Ru writes. According to the source, the aircraft are presumably E170/175 with seating capacity ranging from 70 to 86 passengers. The airline could receive the first two aircraft as early as December this year, and start operating them on routes within Russia. The airline’s spokesperson confirmed to Gazeta.ru such plans but emphasized that “no contracts have been signed yet.” However, the carrier has already started searching for staff to fill flight crew positions for the type. S7’s fleet includes 66 aircraft – 45 Airbus A320 family and 21 Boeing 737-800s and 767-300ERs. The carrier has three A321neos on order. The respective agreement with Air Lease Corporation was signed in April this year. The airline currently operates no regional aircraft. According to industry experts, purchase of new aircraft may be a signal that the carrier is considering a new segment. The type will be new to the airline, but also to the Russian market. According to Russian Aviation Insider’s data, no E170/175s are operated in Russia at present. At the end of last year, S7 Airlines was Russia’s third largest carrier after Aeroflot and the now defunct Transaero. It served 8.208 million passengers last year.